Just as Jewish Federation strategically invests in our local community in ways that pay dividends long into the future, we also work to invest in our partnership region in Israel—the Upper Galilee Panhandle (Etzbah HaGalil)—for the long term. Our Federation supports major projects that lift the entire region through education and social welfare programs, capital projects and regional development. Beit Vancouver youth centre was created to address the challenges faced by local youth. Geographically, economically and politically removed from the country’s centre, Israel’s Upper Galilee Panhandle is challenged by a lack of jobs, infrastructure and opportunity. Security has often been a challenge for the region as well; the area is surrounded by Syria and Lebanon. The youth in Israel’s periphery are particularly vulnerable. Young people in the Upper Galilee Panhandle do not enjoy the same opportunities as their peers in Central Israel. They struggle harder to achieve success and break out of destructive cycles that range from poverty to neglect, abuse to underachievement. The city’s welfare department is treating nearly 25% of children in the region’s largest city, Kiryat Shmona. 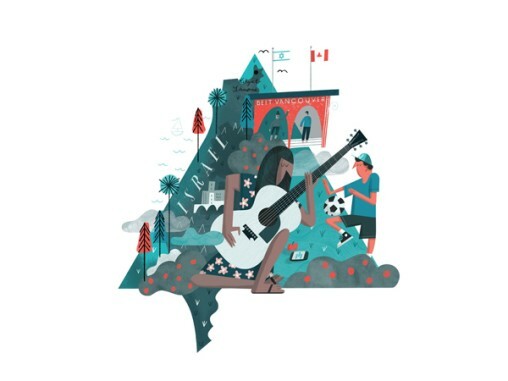 Jewish Federation is making an impact in Kiryat Shmona through Beit Vancouver, an extremely active hub for youth activity that reaches over 2,500 youth—70% of the city’s 3,600 youth. When Beit Vancouver first opened in 2006, the city saw a dramatic decline in juvenile delinquency, which has held steady since the decline. The centre provides at-risk youth a safe place to have fun and develop new skills, offering a wide range of social, educational, cultural, and leadership activities. Beit Vancouver is a hub of vibrancy and growth. There are rehearsal rooms full of dancers and musicians. In the computer lab, teens repair laptops as part of their tech skills training. Young leaders practice presentations they will give before City Council. And through a discreet entrance, at-risk youth and their families enter the building to access professional counselling services. Beit Vancouver has built effective partnerships with other agencies and programs, extending its reach beyond the walls of its building. The model of outreach and community building is being studied by Israel’s Association of Community Centres and implemented in different communities around the country. Every gift to the Federation Annual Campaign supports Beit Vancouver and other important programs that affect the lives of thousands of people in our global Jewish community.